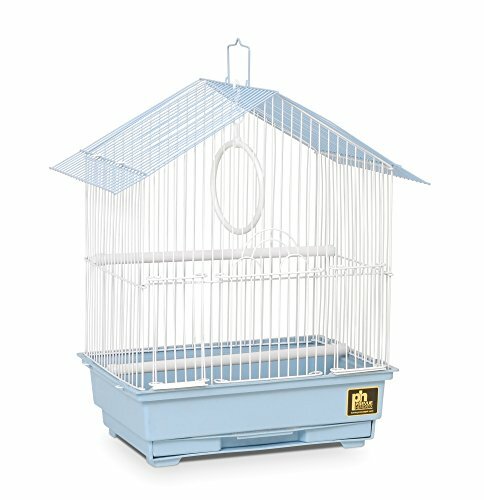 What is the Best Hanging Bird Cage for Sale? Today we’re looking at the best hanging bird cages. A hanging bird cage is naturally preferred by birds as it allows them to position themselves higher up off the ground, making them feel safer. 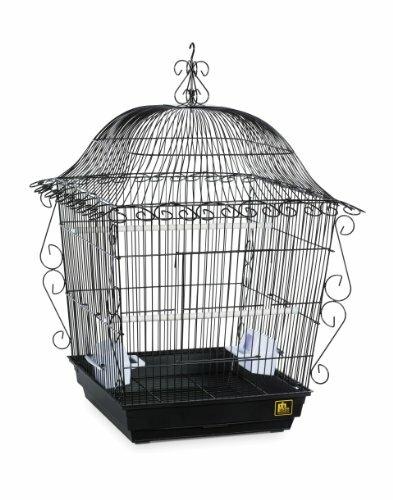 These types of cages also allow you to better display your birds in the home and appreciate them more. Hang from the ceiling OR use a bird cage stand? 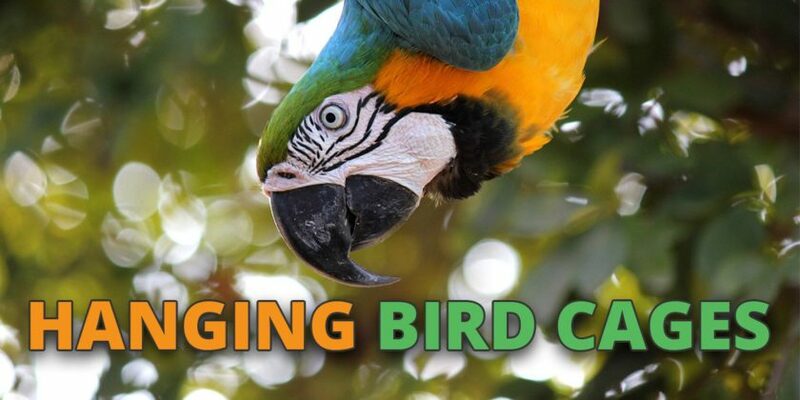 When deciding which hanging bird cage to choose, the main factor to consider is the weight. This is because you need to pair up your hanging bird cage with an appropriately strong enough bird cage stand or hook and chain if hanging the cage from the ceiling. Afterwards, you need to think about the size of the cage as most hanging cages are medium to small sized and so will only house medium or small sized birds. For example, parakeets or cockatiels typically will be able to fit into a hanging bird cage. Also, the factors to think about include the size of the bars, the build quality of the cage, how well furnished the inside of the cage is and of course the price. Simply find a place in your home where you’ll be able to frequently interact with your bird. Living rooms tend to be preferred locations whereas kitchens and bathrooms are not recommended due to any potential changes in heat, moisture and fumes. Within the rooms, birds generally prefer locations that are next to walls as it makes them feel more protected. First locate a strong beam, joist or stud on the ceiling that will be able to take some weight. Usually, you can find these visually, but if you want extra confirmation you can use a stud finder tool. With the stud found, get a step ladder so you can reach the ceiling and use a pencil to mark the location where you want to install the toggle bolt or hook. Drill a hole into the marked location on the ceiling. Screw in the hook or toggle bolt. Attach the chain to the ceiling toggle bolt. Whilst off the step ladder, test the weight of the chain by giving it a firm tug. Whilst the chain is still long and hangs close to the floor, attach the bird cage to test it’s weight. With the weight test successful, adjust the height of the chain so the bird cage is positioned correctly. Visually it’s beautiful with it’s antique styling – one of the most popular hanging cages on the market. Super simple to put together. Bigger than it looks (that’s why it’s called jumbo). Smaller birds will even be able to fly a short distance in it. Mess gets stuck on the bottom and so has to be washed off. Some user’s have reported issues with attaching the bottom. There’s a reason why this is the best selling hanging bird cage available. A great buy for anyone with smaller birds and beautiful to look at as well. Enough space for parakeets to stretch their wings in. Some customers use this as a travel cage. Tray slides out so is easy to clean. Made from low quality building materials. May not have big enough space for toys as well. 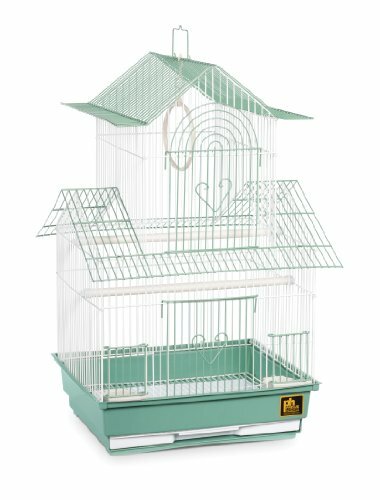 A good buy for smaller birds and a visually appealing cage, however doesn’t quite have the size if you need space for bird cage accessories. 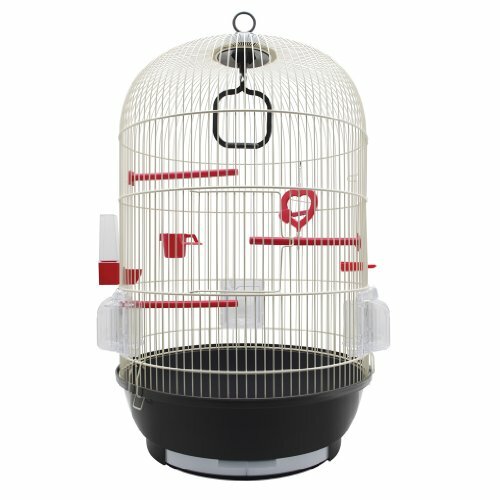 Super cheap, perhaps the cheapest bird cage you can buy. Can be bought as a travel cage or backup. Even includes furnishings such as swing, cups and perches. Only fits very small birds. Made from lower quality materials. Shouldn’t be used as a primary cage but as a backup, temporary or travel cage it is fine. Worth buying one of these as a backup in case there are ever any problems with your main cage. Just don’t use this as a main bird cage. Made from stainless steel which is a very high quality building material. Unique circular design, beautiful decorations on the bottom, porcelain feeding cups! One of the most expensive hanging bird cages. Not enough room for larger sized parrots. Some users have reported issues with the water cups being too small and potentially dangerous for smaller sized birds such as canaries and finches. 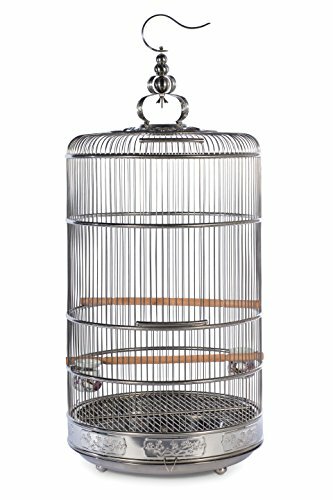 If you want a top notch hanging bird cage then choose this one. Because it is made from stainless steel this will last you a very long time. A smaller version is also available. However, the feeding/watering cups may need to be replaced if you have very small birds. Ingenious feeding and watering compartments that prevent fly outs. Comes with a number of internal furnishings to keep your bird entertained. A good size for a small bird or pair. No bottom floor grate but there are removable trays. Not for larger sized birds. Loses a star due to the lack of bottom grill, otherwise this is a well built bird cage. In addition to the hook that comes at the top of your cage, when installing on to a ceiling you’ll also need the other end to be secured. So an extra hook or toggle bolt (see below) is usually attached to the ceiling. Ceiling hooks can sometimes be secured with just screws but are a bit weaker than toggle bolts. Need help with using a ceiling hook? 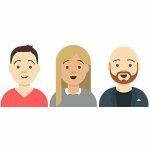 Then check out this guide here. Used instead of a hook, a toggle bolt tends to be stronger and more secure. However, you’ll need a drill a hole to secure them to the ceiling. Check out this guide if you need help on how to use toggle bolts. A chain is used to attach your bird cage to a ceiling hook or toggle bolt. Check that the carrying strength of the chain is strong enough for your cage and that you have enough length (go for the longer option as this can always be adjusted). If you’re not hanging your bird from the ceiling then a bird cage stand is a good alternative. 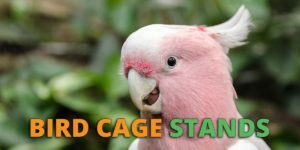 We provide a list of recommended bird cage stands and reviews here. Just a heads up…. I planned on buying the Stainless Steel Dynasty Bird Cage for my parrotlet but I read where small birds (canaries and budgies) have drowned in the ceramic water cup. Apparently, they stick their heads in to drink and can’t get them back out. You can replace the ceramic cups with other cups, of course but I wanted to mention this so that, hopefully no one else loses their babies. Thanks! Thanks for the heads up. I’ve added this information next to the Dynasty bird cage section.